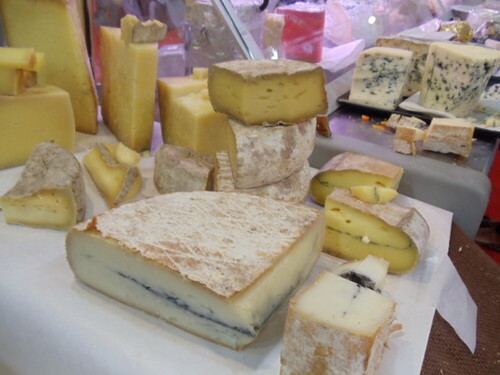 There is an ongoing and spirited debate about affinage in the cheese community. The New York Times weighed in a couple of years ago and other articles and discussions followed. I even got asked by the local foodies. I said, “Meh”. 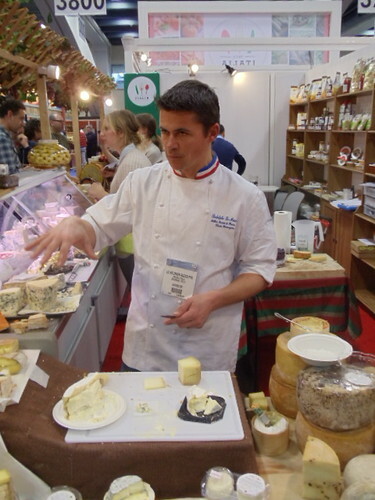 However when it comes to the cheeses aged by Rodolphe Le Meunier, I can see the beauty of having a talented cheese ager. 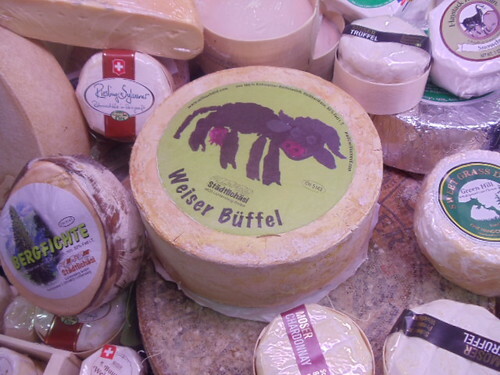 The ripened and ashed goat cheeses we buy under his name are the best French ones we have had in years. His Jeune Autize, Puits d’astiers, and Tome des Pyrenees are better than versions I have had by others, including the original producers in one case. 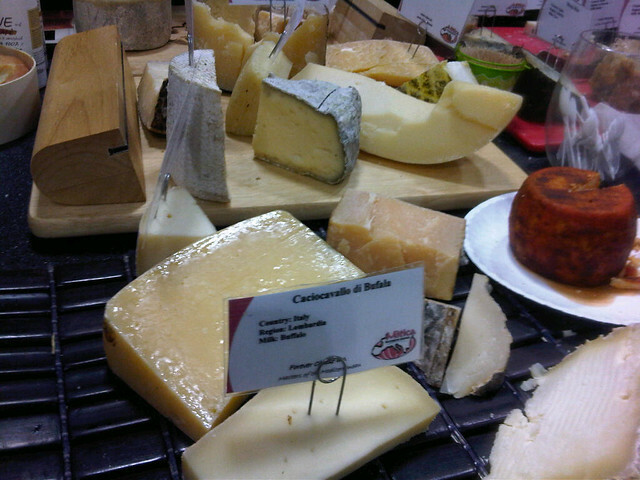 And his 30th Month aged Comte that we tried at the Fancy Food Show. OMG. 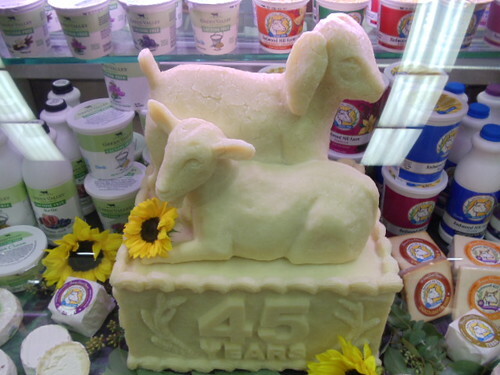 It may be too expensive for us to ever sell, but I will forever cherish that cheese memory. While I think that a lot of folks talk about their “affinage” as a pure marketing ploy, Meunier is the real deal. He’s an M.O.F. 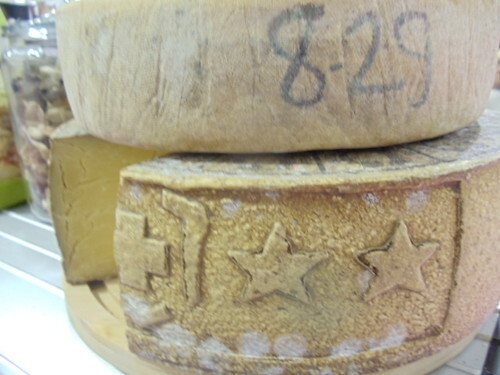 (Master Artisan), 2007 World Cheesemonger Champion, and from five generations of cheesemakers. While I have mocked or “meh”ed “affinage” in the past, I want to make clear that this is the, the kind of cheesemaking tradition that is worth paying for most of the time. There was celebrating in the aisles! Congrats Redwood Hill on 45 years! 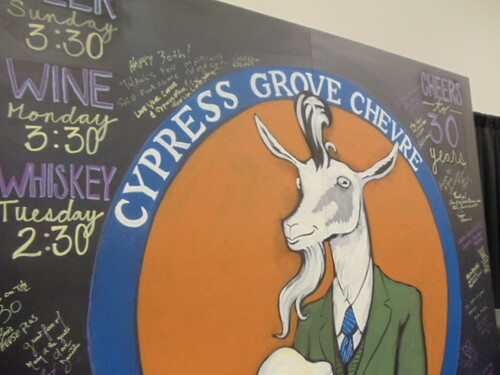 Congrats Cypress Grove on 30! What can I say that would be new and exciting about the Fancy Food Show? I have probably written pretty much the same entry about it every year for a decade. The best bits (that I am willing to publish) are already in my book. One can only write about desperation capitalism, food safety no-nos, the hip-marketing of peasants, and vanity projects of the rich and famous so many times, eh? I know, I know. There is more to it than that. 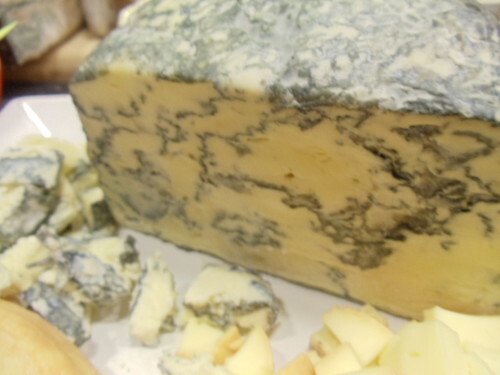 There is cheese, which skirts these issues more delicately than many other food products. And it is, one assumes, why you are reading this post anyway. I don’t like it because… trade show. If you’ve been to one, you know what I mean. I do feel for all the folks who had to set up the show on Saturday and work through their weekends. I’m still exhausted from the food holidays myself. Glad I don’t need to do any behind the scenes work. 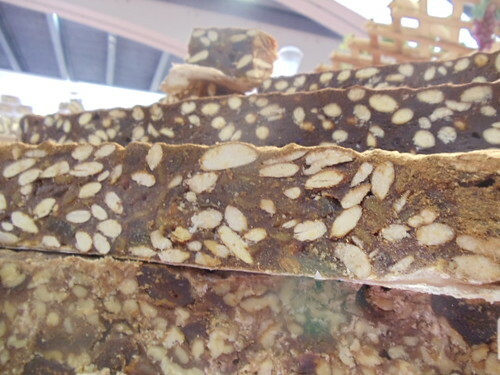 But that’s where I was for the greater part of last week… in the Moscone Center with the Fancy Food, the unfancy food, and all the food people. Tasted some great cheese and saw some awesome folks. Now that I can catch a breath, I’ll be writing it up this week. 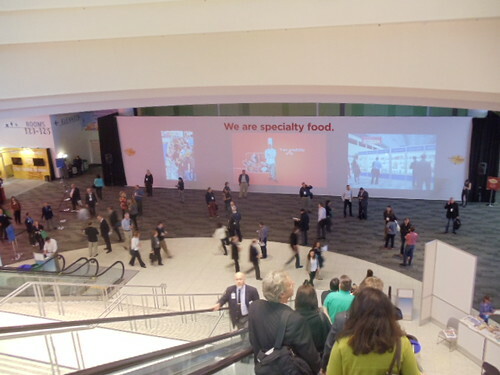 Oh, Fancy Food Show… Always pretty much the same and yet always a must-attend event. Back in Ye Olde Dayes, when we were trying to build a cheese department, we roamed your aisles looking for cheese to stock our shelves. I’m still getting “VISIT OUR BOOTH!” mailings from people whose product I tasted once over a decade ago and never brought into the store. Back then a lot of folks wouldn’t even talk to us because we looked too weird or they’d never heard of our store. Now, I seldom visit a booth where I don’t already have an appointment. I refuse to go all three days – for my own sanity – but it’s hard to do everything I need to do in two. I always skip Sunday because it’s amateur day. The show is supposed to be Trade Only but I am convinced that everyone gives their badges to their friends on Sunday because it’s crazy-packed and people tend to shovel down the samples in a non-professional kind of manner. 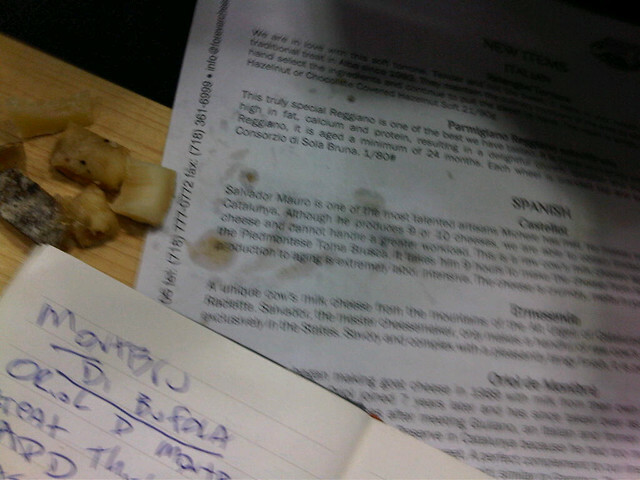 It’s still greasy cheese rind in my palm while I take notes but now I usually get to sit down while I do it. 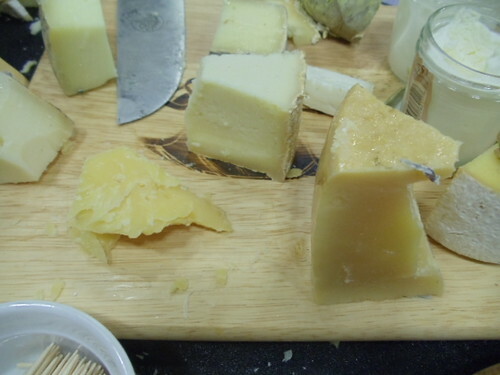 My tasting notes are at work, but we did taste some awesome cheeses. I will write about those in the weeks to come so that I don’t misspell anyone’s name or anything. Did you go? What were your favorites? They don’t have to be cheese. Apologies to anyone I missed at the show. We had a cooler disaster back at the store so I had to leave early on Tuesday to weigh cheese and then throw it in the compost dumpster. Yuck! Still, after a weekend of fancy-schmancy events, it does keep it real to come home reeking of bad cheese and not free wine. *I’ve never quoted a facebook comment before but my old friend responded to that post with, “The history of all hitherto existing cheese is the history of cheese struggle: curds and whey; cheddar and swiss; blue and brie; in a word, oppressor and oppressed, stood in constant opposition to one another, carried on an uninterrupted, now hidden, now open fight, a fight that each time ended, either in a revolutionary reconstitution of cheese at large, or in the common ruin of the contending cheeses.” If I don’t record that this was my friend’s comment I will start thinking that I was that clever.